He debuted in 1979 with the story Wonder Island, published in Weekly Shounen Jump, and first gained popularity for the anime and manga series Dr. Slump, originally serialized weekly in Shounen Jump from 1980 to 1984. In 1982, he won the Shogakukan Manga Award for Dr. Slump for best shounen/shoujo manga series of the year. Akira Toriyama's clean line and design sense led to jobs designing characters for the phenomenally popular Dragon Quest series of role-playing games (formerly called Dragon Warrior in North America) since 1986, as well as its second anime adaptation Dragon Warrior: Legend of the Hero Abel which started in December 1989 on Fuji TV. Several Dragon Quest monsters designed by Toriyama make cameo appearances during the preliminaries of the 22nd World Martial Arts Tournament in Dragon Ball. Exhibitions of works by Toriyama (Akira Toriyama Exhibition) ad locations in major cities in Japan, and collected more than 400,000 visitors in three years. 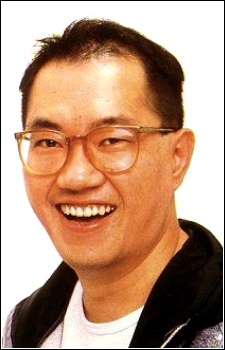 Toriyama was also the character designer for the Super Famicom, PlayStation, and Nintendo DS RPG Chrono Trigger (1994, 1999, and 2008), the fighting games Tobal No. 1 (1996) and its sequel Tobal 2 (1997) for the PlayStation, as well as the Mistwalker Xbox 360 exclusive RPG Blue Dragon (2006) and its anime adaptation (2008). Toriyama's studio is called "Bird Studio," which is a play on his name, "tori" meaning "bird." Plenty of games are sitting on store shelves, download sites, and your personal game collection that have yet to receive the anime treatment. We're going to look at some of them and find out why they're just begging for anime adaptations! We wouldn’t get Senran Kagura without him? Happy Birthday Lord Toriyama Sensei! A very underrated comedian also. Thank you Toriyama for your contribution no matter what those haters say. Respect.